The Vermont Senate on Wednesday afternoon took another step in a gradual generational shift. Meeting hours after the legislature convened for the year, the Democratic caucus unanimously chose Sen. Becca Balint (D-Windham) to serve as majority leader. Earlier Wednesday, the full Senate formally elected Sen. Tim Ashe (D/P-Chittenden), another of the Senate’s youngest members, as president pro tempore. Balint, an educator and newspaper columnist from Brattleboro, replaces Sen. Phil Baruth (D/P-Chittenden) as the chamber’s Democratic leader. Baruth announced in late October that he would step down after four years in the post. Sen. Ginny Lyons (D-Chittenden) publicly considered seeking it but informed her colleagues in recent days that she would not. At Wednesday’s caucus meeting, Balint was nominated as part of a “team” with veteran Sen. Mark MacDonald (D-Orange) running for majority whip. The caucus took a single vote, simultaneously electing Balint and MacDonald without dissent. Balint said she and MacDonald had decided to join forces as a way to bridge the gap between the Senate’s old guard and young blood. 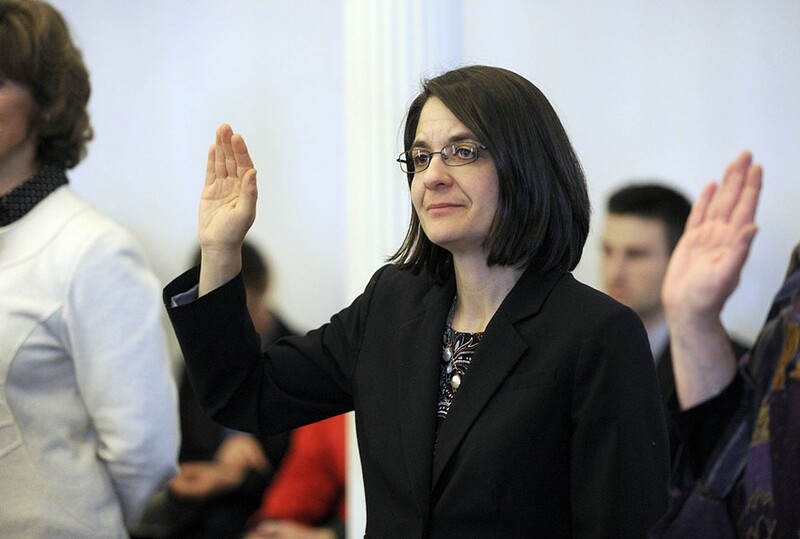 Balint is the first openly gay woman to serve in the Vermont Senate. Left unsaid — in the caucus meeting and in her remarks to reporters afterward — was any mention of her breaking another glass ceiling: becoming the first openly gay woman to achieve a leadership position in the Senate. By itself, that seems to be a heartening bit of progress. The Senate Democratic caucus will meet again Thursday afternoon to discuss its legislative priorities for the 2017 session.